Feel refreshed and take years off your skin when you go to Harmonia Spa for beauty services. We offer a variety of spa treatment services for men and women. Our beauticians make you feel like a different person after you leave our spa. Call us today to learn more about our services. 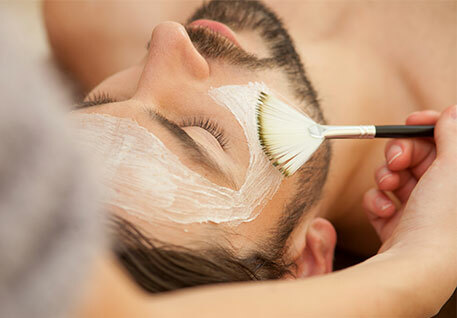 Harmonia Spa provides a variety of services designed specifically for men in a private and relaxing atmosphere. We help men rejuvenate their mind and body. Our customized men's spa care services include facial treatment, aromatherapy, relaxation massage, hair removal, manicure, and pedicures. This 30-minute facial treatment relaxes your face. It is developed to erase all traces of fatigue after a long day and gives your skin a boost of energy before an evening out. This 60-minute facial treatment is designed to hydrate, purify, and restore your skin's texture. We use a selection of customized products to improve the condition of your skin type. The service includes deep pore cleansing, exfoliation, customized mask, a light relaxation facial, neck and shoulder massage. It is followed by an application of protective moisturizing lotion. Add eye care treatment to your next spa treatment to quickly enhance and brighten the eye contour area. Avoid exposure to the sun or sunbed before or after any depilatory session. If you are planning to attend a special event, we recommend hair removal the day before.